Are you comfortable showing strangers your home? 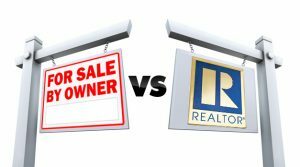 The statistical truth is real estate Agents get listings more exposure, sell homes at much higher average prices and sell houses faster than For Sale By Owner sellers. The National Association of REALTORS® compiles the information contained in these graphics by conducting surveys of home buyers and sellers annually. On average, a real estate Agent achieves a higher sale price than For Sale by Owner transactions. On average, For Sale by Owner transactions take longer than Agent assisted transactions. When considering such an important decision as the sale one of your biggest lifetime investments, the services and expertise of the right real estate professional can make the difference between a successful sale and just a sale!